* Updated with official press release. details and participating countries/carriers. This has been mentioned by Softbank President Masayoshi Son several times over the last few months, but finally details are starting to leak out about an unlimited data plan for international roaming. While there has been no official release of information from Softbank PR, Japanese Apple weblog Ringo Sanco is reporting that the plan will be set at 1,980 yen ($22 US) per day. However, in a special promotion, until June 30, 2011, the service will be offered for only 1,480 ($16.5 USD) per day. Softbank subscribers using an X-Series smartphone, Disney phone, iPhone, or iPad 3G will be able to apply for the plan from July 21 of this year. While speaking at a press conference at the launch of the iPhone 4 in Japan, Son spoke of how much he enjoyed using twitter and other online services, and how addictive they have become. While traveling abroad, customers using devices like the iPad could run the risk of gigantic bills resulting from even minimal data usage while roaming. This plan, while certainly not cheap, will make it easy for business travelers and vacationers to use data heavy devices and easily calculate the costs. Also with VoIP services like Skype now offering voice communication over 3G data, communications costs while traveling can be minimized while still offering robust options. We’re still waiting for final confirmation on this information, as well as details regarding enrollment instructions and effected countries. Stay tuned for more. * Update 6/28 20:00: Softbank has issued a press release with details on the international roaming data plan here. It confirms the information posted previously and adds information on participating countries. Another piece of interesting information is that it appears the cap is raised for a maximum of 2,980 yen per day for video downloads. I’m not sure I like the sound of that, but more information should be forthcoming. 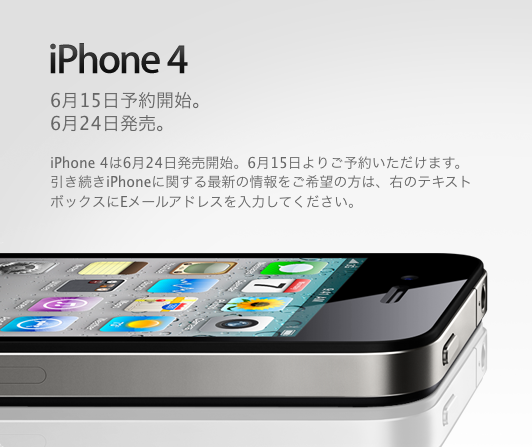 Watch us live from 7:00am Thursday, June 24 to watch as the first iPhone 4s go one sale in Japan. No need to refresh this screen. The coverage will automatically start when we start blogging. 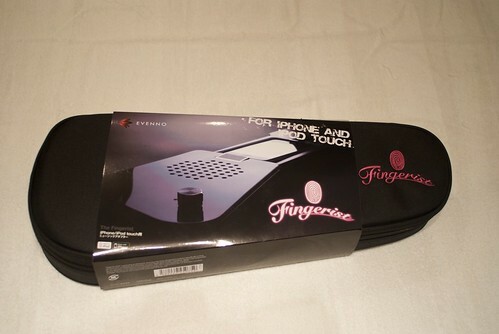 Fingerist: iPhone/iPod Guitar Speaker. Rock On! A short while ago I caught sight of this accessory at an Apple themed event in Tokyo. I couldn’t believe someone hasn’t done this before. 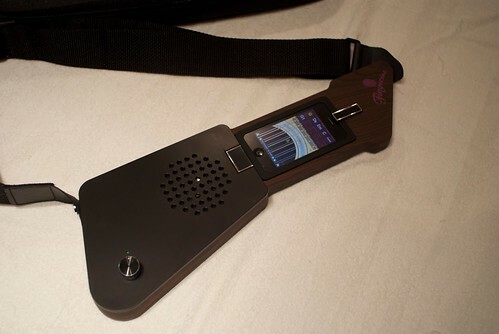 An iPhone add-on that turns your geek-phone into a real musical instrument! I finally got my hands on one and have had a great time testing it out over the last few days. Sure there are lots of apps that simulate every musical instrument on the planet, but I always felt the experience was somewhat lacking. Now I know what was needed. 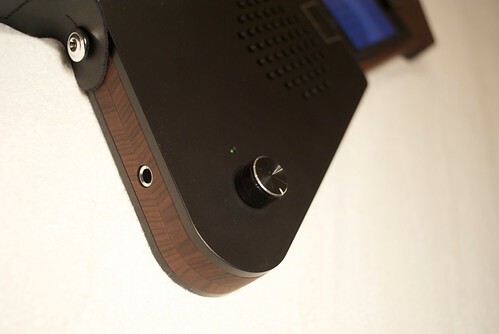 The Fingerist is made by Japan based Trinity inc, and was developed in cooperation with local Apple fans and musicians to create a totally new musical instrument. Basically an Apple dock connected to a speaker, the Fingerist turns any iPhone or iPod Touch into a something truly unique. The Fingerist is about the size of a Ukulele and requires three AA batteries to operate. Once you have put in the batteries, simply slide your iPhone or iPod Touch onto the dock and push it into the small recess in the middle of the Fingerist. There is a small latch that will hold the iPhone in and a spring to keep it from wobbling around loose. Then turn on the volume, start up any musical instrument app and you are ready to go. I tried Pocket Guitar and Frontier’s Guitar app and had a blast plinking away. The built in 3 watt speaker offers clear sound that will fill a small room, and there is even a standard quarter inch output plug for larger amplifiers. I have to admit, I was just a small bit let down when I actually held the Fingerist for the first time. While it looked at first glance like the casing was made with real wood, close inspection reveals that it is made almost entirely of high end plastic. It’s actually very good quality and I had to look closely to tell, but the wooden parts are molded plastic with a special coating. It actually feels very good and makes the whole thing lighter than I was expecting, but I still would have preferred solid wood. On the whole however, I have to say the build quality is excellent. The speaker is great and provides great sound and the whole thing has a very nice solid feel. The use of the Apple dock interface means no loose wires. I was really impressed with the packaging for the Fingerist. First of all, it didn’t come in a box. It actually comes in a very nice soft case. Not only does it reduce wasteful packaging, but it also saves you from having to buy a carrying case. Great idea! 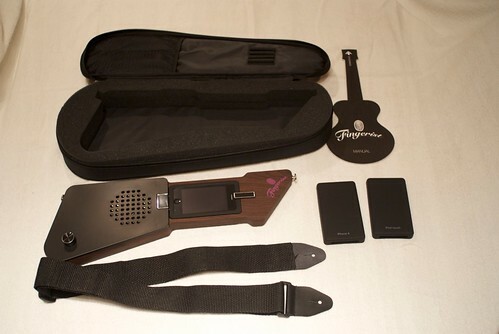 Inside the case there is the Fingerist, a guitar style strap, and three silicon cases. These are used to protect your iPhone/iPod and create a custom fit so it will blend into the front face without a gap. I was very surprised to see that in addition to an iPhone 3G/3Gs and iPod Touch case, there was also a case for the unreleased iPhone 4! The Fingerist was shown off at CES and promised a March release. It seems that some problems with manufacturing has delayed the launch, but it is now available in Japan for 14,800 yen. It should be available soon in the United States for a $150.00. Pretty reasonable price for a fun and unique accessory. Here’s a video of the Fingerist in action. Just five days after opening pre-orders and another five days until the iPhone 4 officially goes on sale in Japan, Softbank has closed pre-orders for Apple’s new must-have handset. With pre-orders already stopped in the US, it’s now much harder to get your new iPhone 4 on launch day. Earlier today, Softbank posted a press release stating that as of 20:00 today, June 19th, Softbank would stop taking pre-orders online. It should be noted that Softbank has made it a point to inform all customers that even with a pre-order, it is possible that stock might not be sufficient to fill all orders on June 24. Still, if you missed the pre-order mobs, you still have one last chance to get the prized iPhone 4 on June 24. Softbank has listed 15 electronics retailers that will be selling the iPhone 4 on launch day along with all seven Apple retail stores in Japan. If you have to have an iPhone 4 and haven’t gotten your pre-order yet, be prepared for a long wait in line in front of one of these stores for one of the limited number of handsets that will be available for walk-in purchase. I’ve just gotten home after a very long day. Pre orders for the new Apple iPhone 4 started today across the globe and Japan was right at the head of the line with lines forming outside Softbank stores, Apple Retails stores, and electronics and cellphone shops across Japan. Here’s a video I shot from outside of the Softbank iPhone Flagship store in Omotesando. (Sorry for the jerky footage). At 5pm, pre-orders began in stores as well as online, but with just half an hour we began to get the feeling something was wrong. After the initial batch of customers were brought into the stores, a significant amount of time seemed to pass without any additional people being brought in to fill out the reservation forms. Checking on twitter, the same complaints were being broadcast from seemingly everywhere. Even worse, complaints started to appear from people trying to register online. Everything seemed to stop. 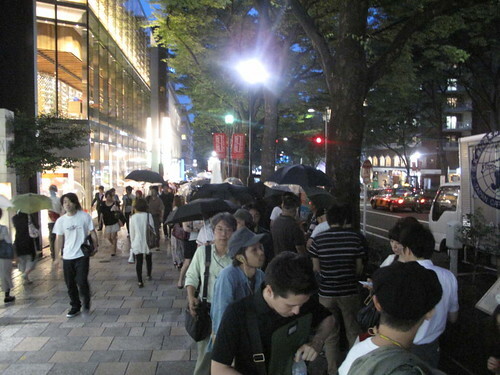 While the iPhone Store in Omotesando continued to bring in people, the pace was notably slow. With Over thirty desks set up to handle the reservations, it seemed that each customer was taking nearly half an hour, just to fill in a few forms. At other stores, things just stopped completely. Word then started to spread that the computers were down. It seems that the incredible load of orders from stores across Japan as well as a massive amount of people trying desperately to order online was locking the entire system up. Some stores stopped taking pre-orders altogether, while others issued tickets to those waiting in line so give them priority should they leave and try again tomorrow. In the end I made it through the line. I figure about 400 or more made it all the way at the Omotesando store, less I am sure than they had been hoping for. But still, at least the valiant staff never gave up. 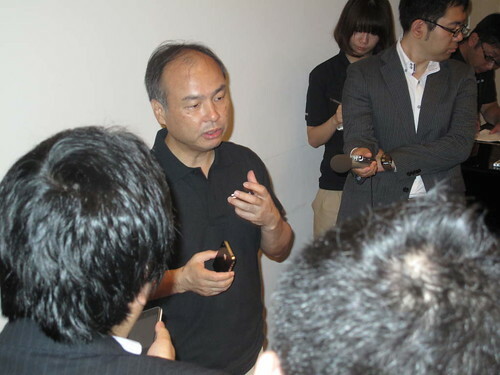 Just a short while ago, Masayoshi Son, the president of Softbank, tweeted out an apology. Along with a heartfelt apology, he explained that the problem was due to the servers being overwhelmed in the Kanto and Kyushu regions of Japan. I’m not sure how many people were able to successfully pre-order today, but I am sure it’s less than had hoped to. One thing is for certain, the interest in Apple’s newest iteration to the iPhone line has surpassed even the carriers predictions, and we are still over a week away from launch. Word from Softbank staff as they were closing up the store was that pre-orders will continue tomorrow, but in store and on-line, but no firm commitment that the servers would be immune from a repeat disappointment. Updated to include Apple retail store pre-orders. Well, not quite. But all has been revealed and if you want to be the first to get an iPhone 4 on your block, read on. Cutting it very close, the final details of the iPhone 4 launch in Japan have been revealed including dates, times and prices. A few interesting tidbits in there to boot. To start with, only the black iPhone 4 will be available at launch. While there are plans to also sell the white version, no date information has been released by Softbank. Pre-orders for an iPhone 4, slated to go on sale in Japan on June 24, will begin at all Softbank carrier stores, Apple Japan retail stores as well as the online store at 5PM on June 15. Note that in order to pre-order an iPhone 4, you will need to have your papers in order. Payment can be made with credit card or through automatic bank withdrawal. Now how much is it going to cost? Here’s where things get a bit more confusing. Get out your slide rules kids. It appears that Softbank is no longer subsidizing the cost of the handset directly (similar to the iPad rollout in Japan). So you will have the option of paying 57,600 yen for the 32GB model or 46,080 yen for the 16GB model, either cash up front, or in 24 payments of 2,400 yen/1,920 yen. What! You say. That’s outrageous. at around $624 USD for the 32GB model and $500 USD for the 16GB, this more than doubles the US price of $299/$199. Well, hold on. It’s not as bad as it sounds. While there is no subsidy attached to the phone itself, Softbank is offering two years of discounted programs. So let’s take a look at the data plans. You will have a choice of the Value program or the basic Program. The Value program has Unlimited data for 4,410 yen per month, while the Basic program has a scaled data plan that starts at 1,029 yen a month and maxes out at 4,410 with unlimited bandwidth. The difference in the plans is pretty minor. With raw data costs in Japan at ridiculous rates, the scaled plan seems pretty crazy. 1,029 yen is for no usage at all. By the time you have put a dozen or so megabytes (yes, MB, not GB) through your phone in a month you have already reached the maximum charge of 4,410 yen. So it will only save you money if you don’t use the 3G data at all. Now the subsidy is linked to your data charge instead of the phone. For the Value plan, a monthly subsidy of 1,920 yen is deducted from your bill for the first 24 months of your plan. If you choose the Basic plan, the discount drops to 1,440 yen. Seriously, just get the Value plan. So while there is technically no subsidy on the phone, the plan does contain the same 1,920 yen discount we saw with the iPhone 3GS and 3G launches. If you do the math (which I am loath to do) you come us with some very happy numbers indeed. A two year commitment for a 32GB iPhone 4 will cost you 57,600 yen but return 46,080 yen in discounts bringing a total difference of 11,530 yen or around $125 USD. 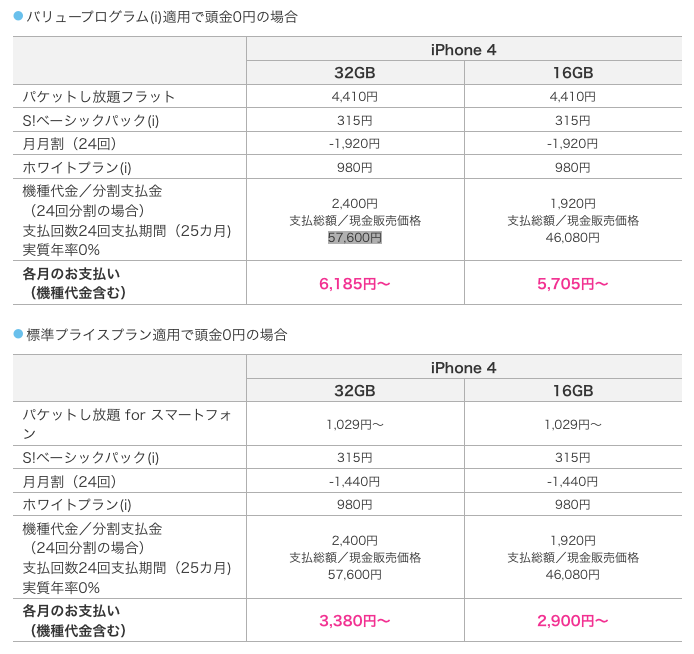 A 16GB iPhone 4 will cost 46,080 yen with 46,080 yen discount or a whopping 0 yen! For a full breakdown of your monthly charges including a cheap voice plan, you can take a look at this set of tables from Softbank. Top table is Value program with Basic program on the bottom. Pink shows monthly bill including basic voice plan and charges. So there you have it. You could say that Japan is getting the iPhone 4 at a bargain price, just saddled with a relatively pricey data plan. There are of course still a number of unanswered questions (many of which I am not optimistic about) such as SIM locks, tethering, and upgrades for current owners of iPhone 3G and 3Gs, but it’s a pretty happy start. Between 2 and 4AM this morning, a few die-hard Apple followers and a handful of grumpy tech reviewers peered through the intertubes for snippits and scraps of news leaking from Steve Job’s Keynote at the World Wide Developers Conference. A somewhat disjointed exercise of scanning multiple live blogs, made even more difficult by UStreams quickly overwhelmed traffic and Steve’s eventual ban of portable hotspots inside the convention hall, the news was obtained, consumed, analyzed, and discussed online, mostly on twitter and a few bulliten boards. So what was announced and what does it mean to Japan. So of course, the big news is the release of the iPhone 4. The same device we have seen in spy shots for weeks, we now have concrete details about it’s makeup and functionality, and from what we know now, it’s pretty certain Apple has another hit. Form factor: The iPhone gets its second major physical overhaul, losing the smooth curved back and replacing it with a glass ice cream sandwich design. The new phone is thinner and smaller than the iPhone 3GS, and replaces the volume toggle button with round push buttons. Perhaps one of the only changes that can not be unilaterally classified as an improvement, the smaller form factor should gain at least as many fans as detractors. But personally I am digging the flat glass backside. Specifications: Pretty much everything gets a bump. 40% more talk time from a larger battery will make many people happy as accessory makers lament the possible loss of charger sales. The new A4 processor, scaled down from the iPad should offer a nice kick in speed to handle the more needy iOS4. The camera gets some much needed attention, upping the MP count to 5 while maintaining pixel density. With the new built in LED flash, the iPhone is finally getting a camera that is at least on par with other high end cell phones. Much attention is being paid to the new Retina screen, with exactly double the resolution of the current iPhone 3GS. With 4X the pixel count the resulting screen is reported to be incredibly sharp and pushed Apple back to the top of the hill. Finally, a quad band HSPA modem and wireless n compatible wi-fi bumps up the data speeds to the threshold of 4G. Conspicuously absent is a storage capacity bump, with only 16 and32GB models announced. This may mean we might have a capacity refresh sometime later this year, or it could also reflect the increasing pressure to put things on cloud services. New Toys: So what’s new and different? The big “One more thing” announcement this year was the front facing VGA video camera and FaceTime video chat service. To be honest, I’m a bit skeptical here. We have had cheap, high quality telepresence capability for several years now, and certainly those people who use it are going to be very pleased with this new function (hobbled as it is with a wi-fi only requirement), but the mass market has yet to embrace video chat (with the exception of the emo tweens and predators hanging out on chatroulette). In fact, japan has had video chat on cellphones since the implementation of 3G. It was an early requirement of 3G phones that they should all have front facing cameras for this reason, and ironically the iPhone was one of the first phones to break this mold. While the high cost of 3G video calls was a factor in the general atrophy that the video call system has endured for nearly a decade, the average user still has lots of hangup when it comes to broadcasting their own face for casual communication. It will be very interesting to see if Apple will be able to break this trend with a video chat enabled phone. The other big announcement centered around the OS itself. First of all the name; iPhone OS is now iOS and we are about to receive our next major upgrade. This time around, Apple has tacked the bane of smartphone existence, multi-tasking. While detractors have long blasted the iPhone for the lack of multi-tasking, what only a hardened, battle scarred smartphone veteran can explain to you is that no one has actually ever done multi-tasking well. We’ve lived between “I can live with it” up to “not that bad” as users have been forced into daily reboot routines and task killer performance monitoring applications. Heck, even my laptop struggles with multi tasking when I get really busy, and so will the iPhone. Average users don’t forgive poor handset performance if the app slowing things down isn’t visible on the screen. Hopefully the iPhone 4 will be able to keep things speedy and stable. I’m less confident about my iPhone 3GS or even a 3G being able to handle the load. Still, the introduction of background processes opens up a whole new world for developers to create new tools for consumers and I am all about that. Also loving the folders for organizing apps on the iPhone. We’ve needed this since the app store opened and it can’t come soon enough. I just hope they don’t throw in silly flourishes like the icon rearrangement for the iPad (which makes it nearly impossible for me to find any app on the iPad). Overall, it will be an interesting and anticipated update to the operating system. What’s even better is that it’s less than two weeks away with a free download for iPhones on June 21st. 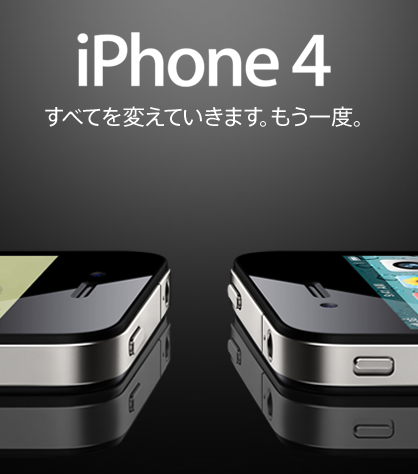 JAPAN IS THE FIRST COUNTRY IN THE WORLD GETTING THE iPHONE 4! Before the US, before the UK. Hours before the sun peaks up in the east coast of the US, there will be Japanese users happily playing with their new iPhones. But who will be getting one? Of course with no pricing info, (I would expect similar pricing to the US with $199/$299 for a subsidised iPhone 4 16GB/32GB) we don’t know how eligibility will work. 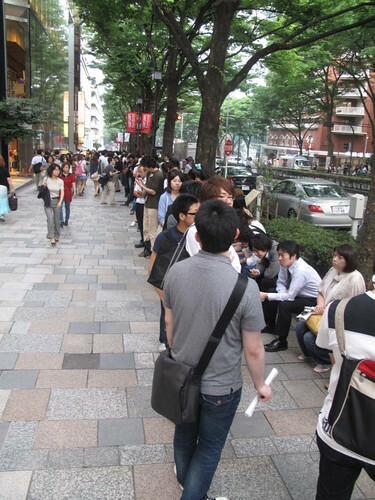 All iPhone users in Japan are still technically on their two year contract, with even those who lined up overnight to buy the iPhone 3G when it launched have weeks left on their agreement. No word from Softbank if there will be an early upgrade option, and those with a 3GS have over a year to go. More questions surround topics like tethering, unlimited data plans, and SIM locks, although I doubt anyone is expecting any happy surprises in these cases. Still, this with strong improvements in nearly every important metric, this will certainly be a big hit in Japan and you will likely see first day lines that make the 1,200 people lined up in Ginza for the iPad launch look like a simple practice run. Stay tuned for more information an analysis as the next few weeks will likely be pretty exciting, and join in the conversation with the Mobile in Japan community in our iPhone forum. In the first of my reviews of iPhone apps for students of Japanese I looked at dictionaries. In this article, I’ll be recommending four fairly simple apps from independent developers. The iPhone version of the Adobe Air app, allowing users to improve kana reading speed, review JLPT kanji and vocabulary, and learn Japanese grammar in context. Here, the ballons are gradually floating down from the top of the screen – touch the correct balloon before they hit the ground! This is one of those apps that just does one thing, but does it extremely well. Made by award-winning new media developer and designer Philip Seyfi, this app is a pleasure to use. The interface is beautiful and the games easy to get to grips with. Certainly stands out from the crowd. Check out the free trial of the desktop app to get a feel for it. Note that like many other apps, this groups kanji by the 4 old JLPT levels due to the fact that lists for the 5 new levels have not yet been published, thus at this stage any attempt to classify them by the new levels would have to be based on guesswork. Next up we have a couple of apps from www.JapanNewbie.com. As the app name suggests, Japanese 101: Particles looks to develop your knowledge of those little elements of the Japanese language that tie everything else together (は、を、に、で etc). When using the Study Mode the front of the Study Card shows a sentence in Japanese with a key particle removed. The card also auto-plays audio of a native Japanese speaker reading the sentence leaving a blank at the missing particle. Touch the card to flip it over and see the sentence with the correct particle used, the romaji, and the English translation. You can also press the notes section to see a grammatical explanation of the particle usage. This way you can SEE the Japanese, HEAR the Japanese, and READ the romaji and translation to ensure that you UNDERSTAND, and also check the notes section to STUDY the fundamental rules on particle usage. It does what it’s designed to do pretty well, although beginners who are not yet proficient in the kanji required for levels N4 and N5 of the new Japanese Language Proficiency Test may struggle, due to the fact that kanji are used on the front of the flashcards. A good tool for reviewing / revising particle knowledge once you’ve learn the basics with you textbooks. When using the Study Mode the front of the Study Card shows a number. The card also auto-plays audio of a native Japanese speaker reading the number. Touch the card to flip it over and see the number in Japanese Kanji, the romaji, and the English translation. This application currently covers the numbers 1-100, and than a random selection of numbers from 100 to 9,999,999. This app is good not only for beginner-level students or people coming to Japan for a vacation, but also for those of us who’ve been in Japan for some time and still find it difficult to get our heads around 7-digit numbers! 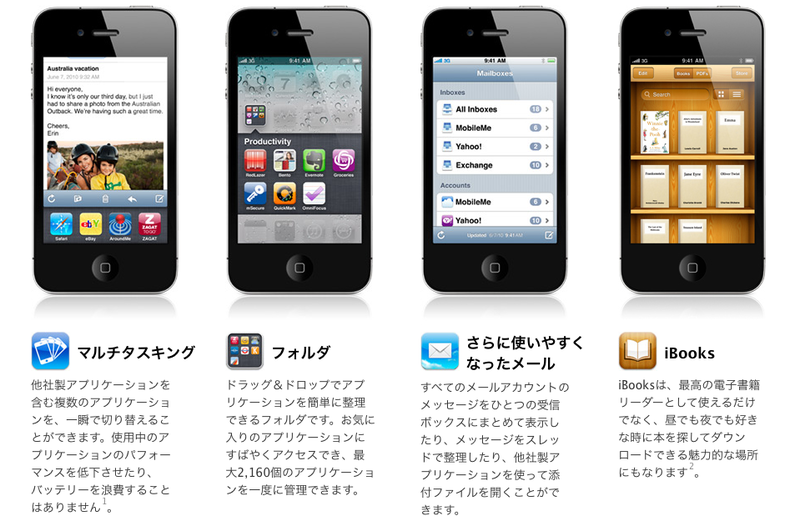 More apps from Japan Newbie. I quite enjoyed using this app. It’s very straightforward, has a Scores section to help you keep track of your studies, and a timed quiz mode with which to prove that you know more kanji than that annoying person who insists on asking everyone how many kanji they know. Check out their Website for more info, and for a demo video featured a rather alarming severed hand and funky soundtrack. Note that like many other apps, this groups kanji by the 4 old JLPT levels due to the fact that lists for the 5 new levels have not yet been published. That’s it for now. If there’s a Japanese language learning app that you think deserves attention, do get in touch.